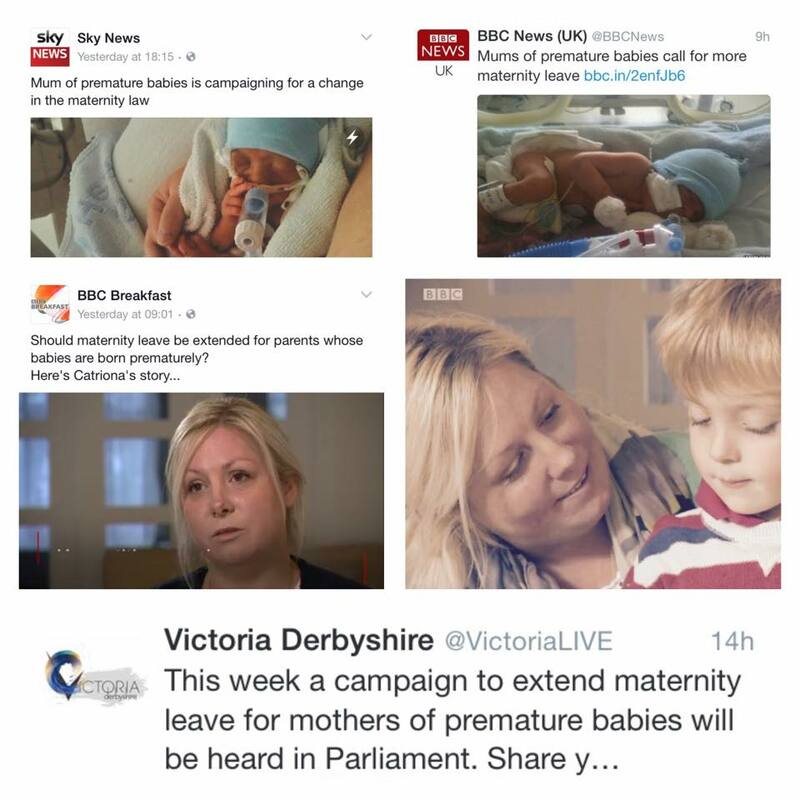 My journey through premature birth and neonatal care began back in January 2016. I was just 24 weeks pregnant when my waters ruptured. Calling ahead to the maternity day care unit they told me to go straight in. They confirmed that my waters had ruptured and I was taken to the labour ward, unsure if I would progress into labour or not. 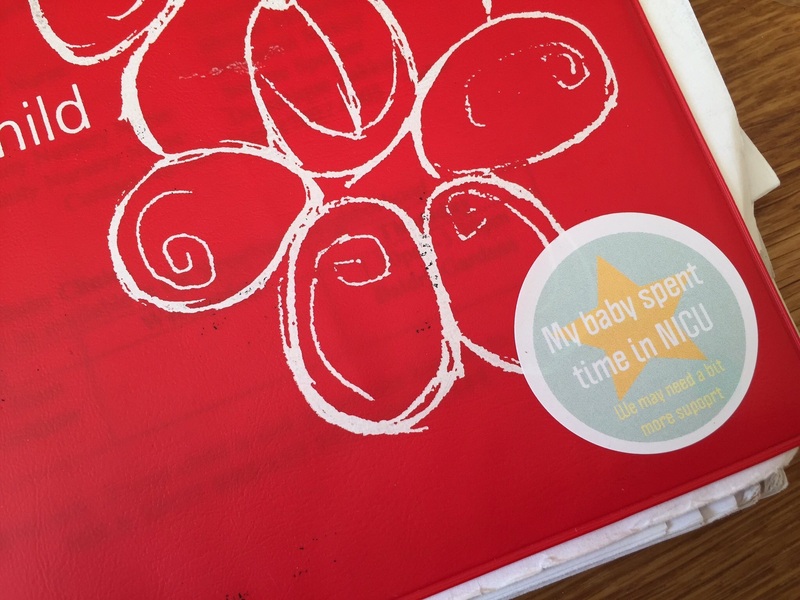 I spoke to the team from neonatal care and was told that if my baby did come early wasn’t a space for him in the unit, I therefore needed to be transferred to another hospital with spaces for us both. While this was being arranged I started to bleed. It was a relief as it meant I had to stay put, I wasn’t stable enough now to move. The thought of being away from my husband & other son was just too much. But what about my baby? They reassured me that they would do everything they could to find my baby a space. We met the NICU team and visited the NICU unit. I remember it being so calm, both quiet and noisy at the same time. The beeps – I’ll never forget the beeps. I stayed I hospital for about 5 days on bed rest. My baby didn’t arrive so I was allowed home. For the next 2 weeks I made the trip to maternity unit to get checked over every other day. I had a couple more admissions as well with small bleeds. On Valentine’s Day 2016 I had a huge bleed. 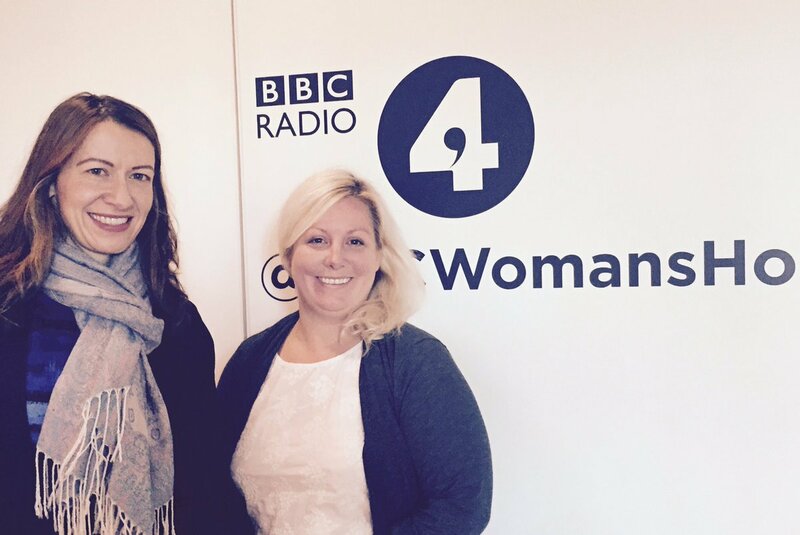 We called my midwife who told us to phone an ambulance. We arrived at the hospital at about 6pm. I was examined, monitored and scanned. They were confident that I wasn’t in labour. It was around 8pm, shift changeover, that I was put back on the monitor. I was uncomfortable and in a bit more pain. We didn’t see our new midwife much as they were quite busy, and after all I wasn’t in labour… when all of a sudden I felt this immense pressure in my bottom along with a really strong contraction. My husband suggested that we call the midwife, but I said I was fine. Then a couple of minutes later it happened again. My husband shouted for help and the midwife came running. She had a look and could see the baby. The room filled with medical staff, it was hectic, urgent. They whisked my baby off to a room across the corridor, the room emptied. The waiting was awful. A couple of doctors came and went asking various questions, taking blood samples. One even asked if baby had a name – Jacob. We were told we would be able to go at around 3am to see him. By this time we were in a private room on the maternity ward. I’d showered, got dressed, phoned my parents and called my sister to check on my other son. Done as much as possible to busy my mind. 3am came. The staff on maternity called NICU to make sure they were ready for us to go round. The walk to NICU was one of the longest walks of my life. It was the dead of night. There were no other people around. We were buzzed in and I remember we just waited at the reception desk unsure of what to do or where to go. We eventually made our way round to the sink to wash our hands and then made our way to the Intensive Care Room. There was a lot of hustle around our baby. But he was stable. He had been ventilated, he was on a drip, countless medications. The one thing I hadn’t been prepared for when I saw his incubator was the condensation. You literally couldn’t see the baby there was so much. We opened the doors to take a closer a look. He was tiny. 2lb 3oz. His skin was red and transparent. He was bruised from his traumatic birth. I broke down. My body had done this to my little baby. What followed was a long 11 and a half weeks in hospital. He suffered a collapsed lung, numerous suspected infections, not gaining enough weight, reflux, retinopathy of prematurity (ROP), oxygen dependency…but we got there. It was so hard to start with, but once we got into a routine it became more manageable. My husband and I did separate ‘shifts’ at the hospital so we could both spend time with each of our sons. My husband still had to work, my maternity leave pay wouldn’t even cover the mortgage! 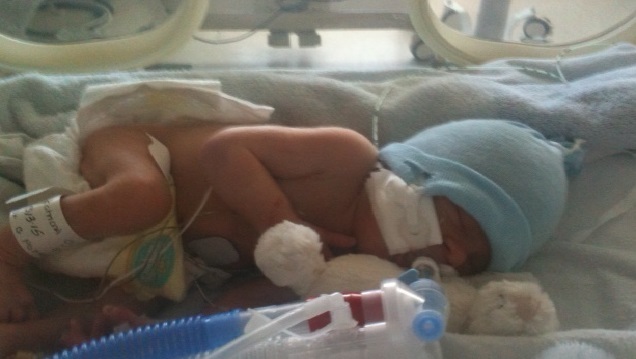 Jacob came home 10 days before his due date on oxygen. 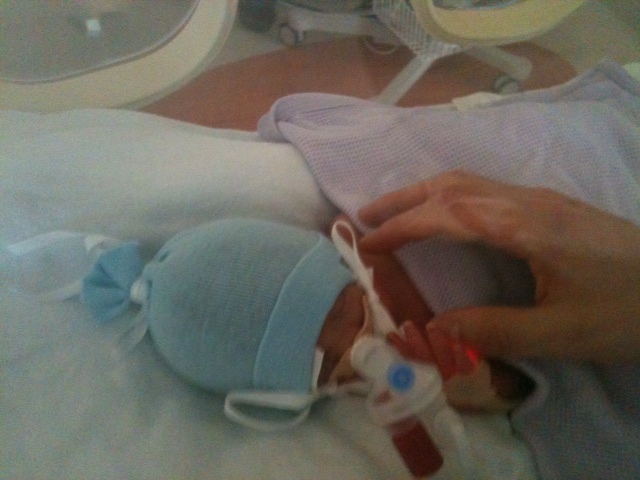 We were given the choice of staying another couple of weeks to try and wean him off the oxygen, or taking him home. We chose home. I don’t think we could have spent any more time on the unit. We needed to be a family. Jacob is now 2 and a half and doing well. He managed to wean off of the oxygen in December 2017. He is a feisty little bean, full of life. Unless you know him and his rough start, you’d have no idea about what pain his little body has endured. And me? Fast forward a little while to November 2017 and I had another premature baby. This time I managed to hold on to him a bit longer – 33 weeks exactly. 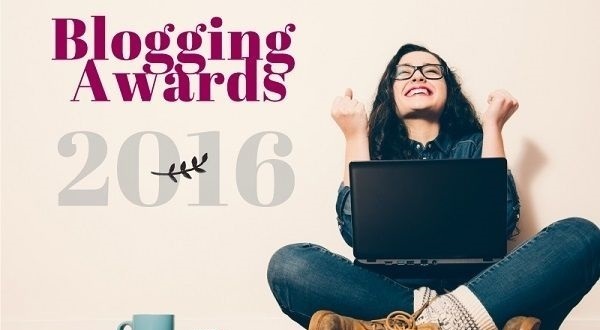 I’d had a pretty rubbish pregnancy with lots of bleeds. 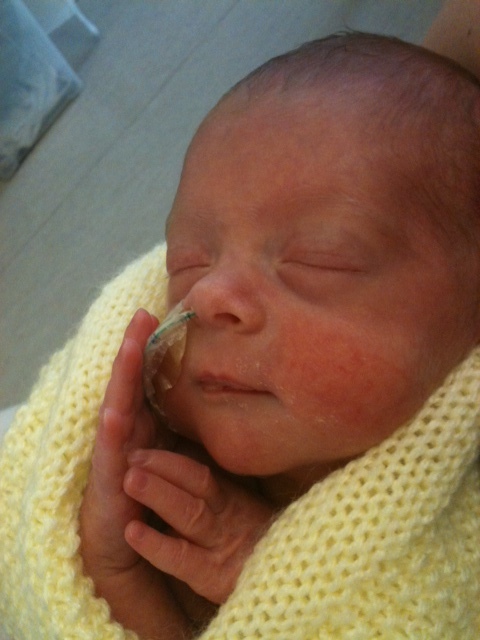 I’d re-met the NICU team at 24 weeks as I’d been admitted with bleeding. I was terrified the same would happen again. We were told the likelihood of my waters rupturing early again were slim, so once we’d passed 28 weeks, where we’d got to last time, we were optimistic. Maybe it was just a one off last time? I woke to my waters leaking. It was the middle of the night, my other 2 sons were fast asleep. I woke my husband, called my mum to come and sit with the children and made our way to hospital, I hadn’t even packed a bag! We were quite relaxed about it all, after all we’d done it all before. We arrived on the labour ward a couple of hours later. I was examined and put on a monitor. We just thought that I’d be home in a couple of days as I wasn’t in labour, again. The baby’s heart rate dropped and took a long time to recover. The room filled and I was being prepped for theatre. I’d had a placental abruption. It was happening again. In recovery I was shown a couple of pictures of baby. He came out screaming. He was in NICU, but was breathing on his own. He weighed 3lb 12oz. It was about 6 hours before I was wheeled round to see him. 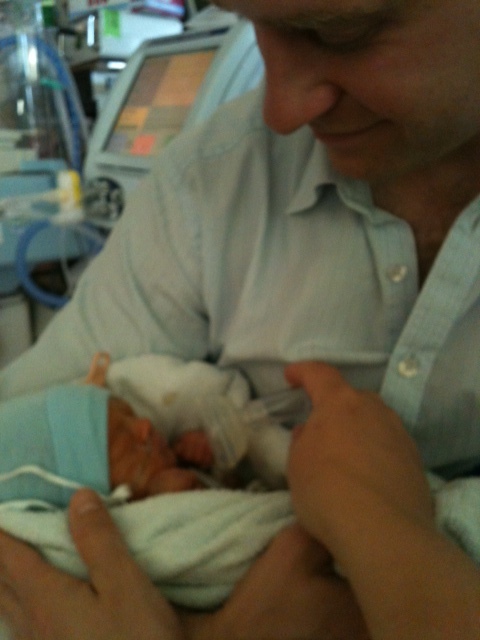 On the way all the staff in NICU congratulated me, told me how beautiful he was and how well he was doing. It almost felt like I’d come home. From our last baby we knew most of the staff. We knew the unit, everything was familiar. They got my baby straight out of his incubator for me to cuddle. I couldn’t believe I’d got my first cuddles already. He really was ok!! We called him Oliver. Due to his gestation he didn’t need the scans and tests that our last baby had had. At 33 weeks he just needed time to grow and put on some fat. 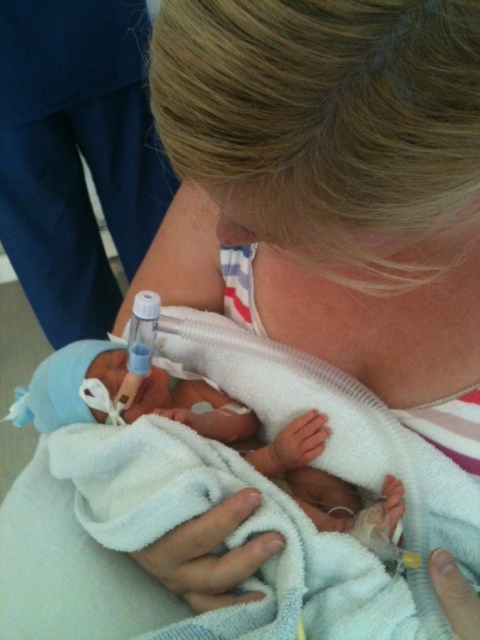 But during our time in NICU Oliver had trouble maintaining his temperature so he spent longer in an incubator. Obviously home was on our mind. 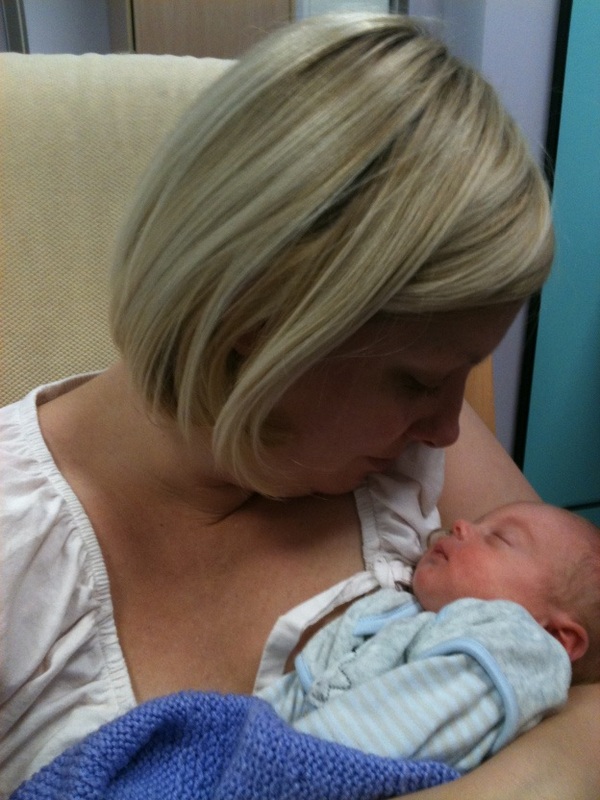 I never asked when they thought he might get to come home – I already knew the answer – aim for his due date. But his due date wasn’t until January. How was I supposed to give Christmas to my other boys and have a baby in hospital? As far as I could see there was no medical issues. We needed to establish feeding and get him to gain some weight. The nurses were fantastic and knew we wanted to be home for Christmas. They pushed Oliver with his breastfeeding and arranged for me to room in sooner rather than later and we made it home, all together for Christmas. Oliver is now 9 months old and doing well with no obvious complications from prematurity. Both of my babies journeys in neonatal intensive care were so different. For me the second time around was the hardest. Having that knowledge of what goes on, what to look for, what to do, what can happen – it didn’t help, for me it was worse. The work that the doctors and nurses do is absolutely incredible. There aren’t enough words to show your thanks and appreciation for all they do, not only for the babies in their care, but also for the families of those babies. 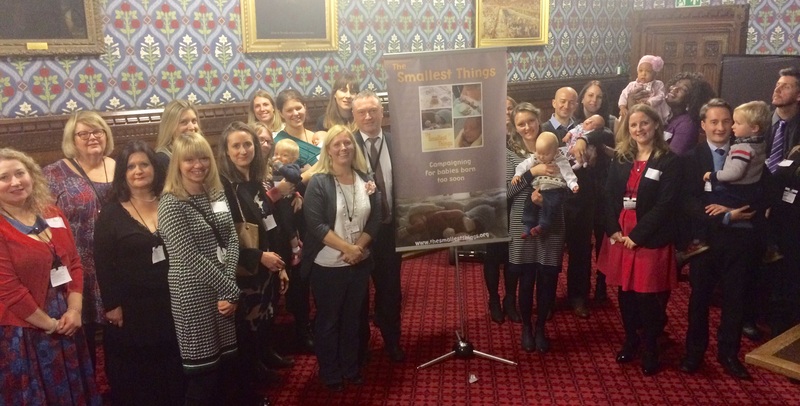 I will never forgot our journey through neonatal care. 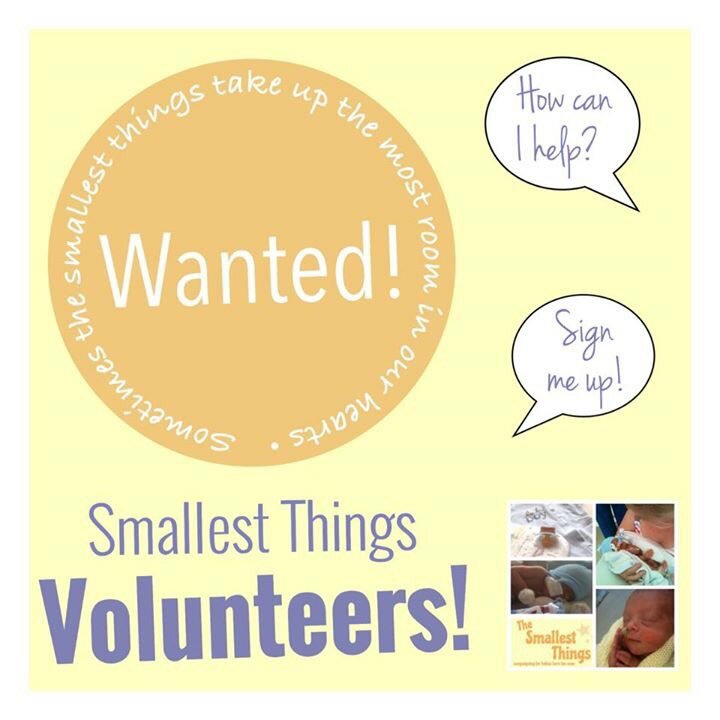 Can you help to raise awareness of neonatal care? It’s easy, just tap the buttons now and share on Twitter and Facebook! 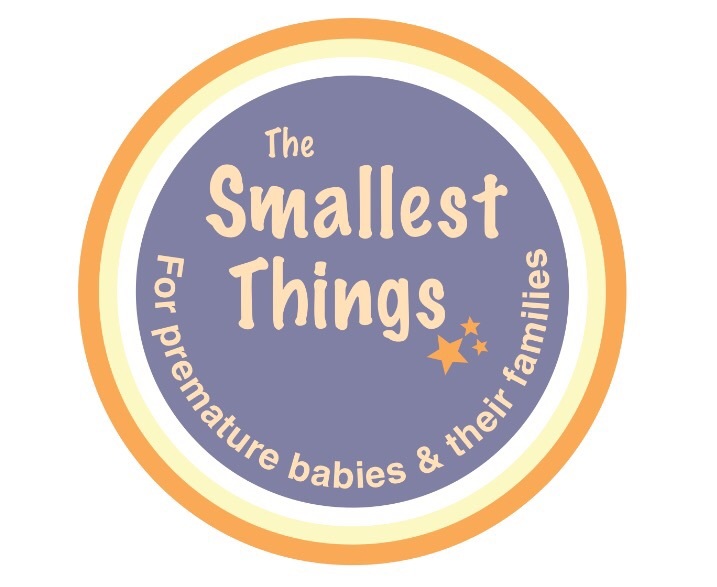 This entry was posted in Guest Blog, NICU, Premature Baby and tagged neonatal care, NICU, premature babies, Premature Baby, smallest things, Special Care Baby Unit on September 3, 2018 by Catriona Ogilvy.